Sunday September 21, 2014 - It is another Sunday - a time for genuine prayers and a call to action for our great nation as we battle this creepy, all-devouring and deceptive menace called Ebola. Let us all pray, whatever our faith and belief that the deadly and vicious Ebola scourge will be defeated. And prayer, we add, should go hand in hand with the right action. We have been following how the three-day lockdown has been progressing in Sierra Leone - and we do not mean the capital Freetown only as the good, the bad and the ugly of the 72-hour lockdown is revealed. We have seen snippets of reports saying a number of dead bodies, human bodies were discovered in houses with relations unwilling to allow the lockdown burial teams to take over and safely remove the bodies while others speak of burial teams not turning up to do their designated duty because of a lack of logistics - there is not enough of personnel and ambulances to cope despite the empty streets. A witness told state television the burial team initially had to abandon the five bodies in the street and flee. Lahai said later the burials were successfully completed after police reinforcements arrived. In northern Sierra Leone, health worker Lamin Unisa Camara said Saturday he had received reports that some residents had run away from their homes to avoid being trapped inside during the lockdown. We got this report from Reuters news on the first day of the lockdown - "Streets in the capital of Sierra Leone were deserted on Friday as the West African state began a contested, three-day lockdown in a bid to halt the worst Ebola outbreak on record. President Ernest Bai Koroma urged people to heed the emergency measures as health workers, some clad in protective biohazard suits, went house to house, checking on residents and marking each doorway they visited with chalk. The New York Times had this - There is no large-scale treatment center for Ebola patients in the capital, Freetown, so many patients have to be placed in a holding center until they can be transported to a facility hours away — that is, if an ambulance can be found to pick them up and if those packed facilities have room. In the streets of the capital on Friday, one woman lay curled in a fetal position, eyes shut, precariously balanced on cardboard sheets next to an open gutter in front of locked storefronts. From a wary distance, the anti-Ebola volunteers said she had high fever. Hours of calls had produced no ambulance. The BBC adds - ...families were struggling because the price of food had gone up. In the hours leading up to Sierra Leone's lockdown, there was traffic gridlock in Freetown as people stocked up on food and essentials. Cities and towns across the country were quiet without the usual early morning Muslim call to prayer and the cacophony of vehicles and motorbikes that people wake up to here. With running water a luxury for the many poor, where would they get the water for washing their hands? Where would they get potable water for cooking purposes and other chores in a country whose capital Freetown has a recent history of water shortages with owners of trucks carrying large containers of water doing a roaring trade with the noveau riche? Thursday September 18, 2014 - UN Security Council says the Ebola crisis in West Africa is a threat to international peace and security. Secretary General Ban says a new international mission - UNMEER has been set up as he promises further action to eradicate the Ebola scourge in West Africa. The UN Security Council has today Thursday September 18th, 2014 declared the Ebola scourge ravaging West Africa a threat to international peace and security as the 15-member UN body unanimously passed a resolution (15-0 in favour) that calls on all countries to urgently send medical personnel and supplies to contain the menace. 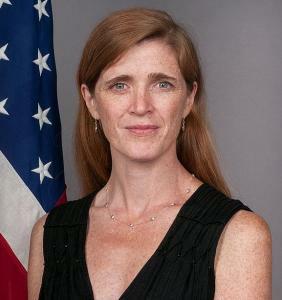 The US ambassador to the Security Council Samantha Power whose country drafted the resolution says its a call to action not just from the Security Council but from the whole United Nations family of countries. She later tweeted - after the passing of the resolution - "UNSC Ebola resolution has 131 cosponsors, by far the most of any of the 2,176 resols since UN created. But its what happens next that counts." 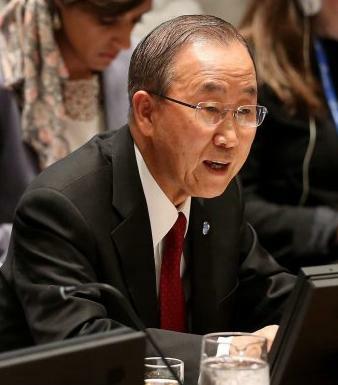 In his speech, UN Secretary-General Ban Ki-Moon said - "The Ebola crisis has evolved into a complex emergency, with significant political, social, economic, humanitarian and security dimensions. The suffering and spillover effects in the region and beyond demand the attention of the entire world. 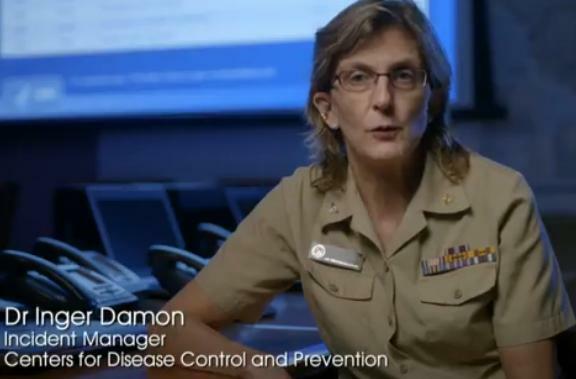 Ebola matters to us all. The outbreak is the largest the world has ever seen. The number of cases is doubling every three weeks. There will soon be more cases in Liberia alone than in the four-decade history of the disease. I applaud the leadership of United States President Barack Obama, and warmly welcome his announcement that the United States will deploy 3,000 troops to provide expertise in logistics, training and engineering. I also thank the many Governments that have made contributions – including Canada, China, Cuba, the Democratic Republic of the Congo, Ethiopia, France, Germany, Ghana, Ireland, Italy, Japan, Kenya, Norway, Qatar, the Russian Federation, Rwanda, South Africa, Switzerland, Uganda and the United Kingdom. I hope other countries will follow suit. Airports in Senegal and Spain are serving as logistical hubs. The AU, ECOWAS, European Union, World Bank, African Development Bank, Gates Foundation and Global Fund are also engaged. We are looking to all those in a position to help. The business community, for example, is well placed to contribute in the health, transport, communications and information sectors. 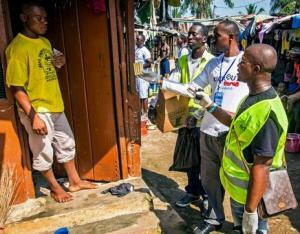 We have, in the past, called the attention of the authorities in Sierra Leone to the need for proper care for people who have tested positive for the Ebola virus. Testing positive for the virus should not be seen as a death sentence. Pictures that we have seen of patients being handled in a most disrespectful way by these brave health care workers should be discouraged so that the afflicted will develop that needed will to live if they are treated with due respect and the necessary care. We have also called the attention of the health delivery workers about the need for people to be given the proper nutritional support so that their immune system can rise up to the challenge and hence help their recovery. It is also worth noting that in a country like Sierra Leone, indeed in the entire sub-region people identified with Ebola could also be suffering from other ailments and sometimes serious conditions that could be overlooked as health workers focus on the Ebola infection. 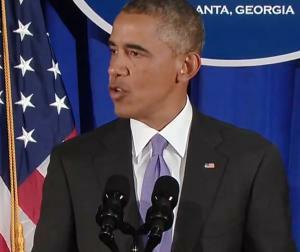 Tuesday September 16, 2014 - US President Obama takes the lead in the fight against the Ebola scourge. Promises troops, doctors and health officials with a military command centre in Liberia to support civilian efforts across the region. A very grateful sub-region awaits as more continue to die in countries with health delivery systems that are a shame to the 21st century. US President Barack Obama has finally spelt out the US commitment to help contain the scourge that is destroying lives, families, communities, villages and towns in Sierra Leone and other countries across the West African sub-region. It was a welcome speech delivered at the Centres for Disease Control in Atlanta, Georgia where he met health care workers who have been to the region, seen what it is all about and even contracted the disease. We have decided to link you to the pages that contain today's speech as well as providing you with an easily-accessible channel on our pages. We do hope you will find them useful and not only that, but hear from a Head of State who really cares. These lines from the President's speech goes to the heart of the message he was trying to send - about the suffering and the hopelessness and helplessness of it all. 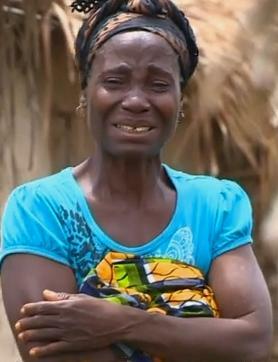 "The scenes that we’re witnessing in West Africa today are absolutely gut-wrenching. In one account over the weekend, we read about a family in Liberia. The disease had already killed the father. The mother was cradling a sick and listless five-year-old son. Her other son, 10-years-old, was dying, too. They finally reached a treatment center but they couldn’t get in. And, said a relative, “We are just sitting.” These men and women and children are just sitting, waiting to die, right now. And it doesn’t have to be this way. The reality is that this epidemic is going to get worse before it gets better. But right now, the world still has an opportunity to save countless lives." President Obama also revealed plans that clearly showed that he cares - noting that the Ebola outbreak was now an epidemic that was spiralling out of control with decrepit health care delivery systems unable to cope and completely overwhelmed. "So today, I’m announcing a major increase in our response. At the request of the Liberian government, we’re going to establish a military command center in Liberia to support civilian efforts across the region — similar to our response after the Haiti earthquake. It’s going to be commanded by Major General Darryl Williams, commander of our Army forces in Africa. He just arrived today and is now on the ground in Liberia. And our forces are going to bring their expertise in command and control, in logistics, in engineering. And our Department of Defense is better at that, our Armed Services are better at that than any organization on Earth. We’re going to create an air bridge to get health workers and medical supplies into West Africa faster. We’re going to establish a staging area in Senegal to help distribute personnel and aid on the ground more quickly. We are going to create a new training site to train thousands of health workers so they can effectively and safely care for more patients. Personnel from the U.S. Public Health Service will deploy to the new field hospitals that we’re setting up in Liberia. And USAID will join with international partners and local communities in a Community Care Campaign to distribute supplies and information kits to hundreds of thousands of families so they can better protect themselves. We’re also going to build additional treatment units, including new isolation spaces and more than 1,000 beds. And in all our efforts, the safety of our personnel will remain a top priority." We hope this fact sheet from the White House will help in getting a picture of what the United States intends to do in fighting the Ebola scourge. Sierra Leoneans should pray that with the combined efforts of countries such as the United States, the United Kingdom, Cuba and other countries as well as the work of local and international NGO's we can at last heave a sigh of relief that help is on the way and that we need it quickly too. Monday September 15, 2014 - We are sad, very very sad. 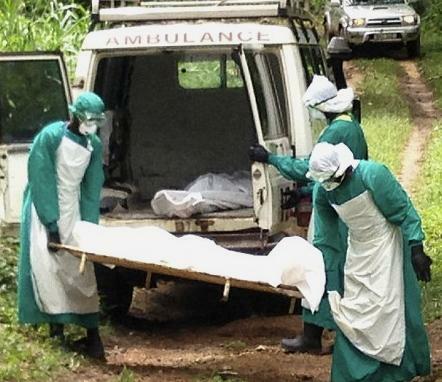 We have lost another doctor as the fight to contain the Ebola scourge rages. We have lost Dr Olivette Buck - a woman who had been in the frontlines in the battle against this nasty and all-invading beast. We have lost a woman who was determined to give her all in the fight. We mourn the passing away of Dr Buck and we pray that the Good Lord will grant her the rest that she truly deserves. Rest In Peace. We had to hold the front page yesterday as news of the death of Dr Olivette Buck began filtering through. We at first hoped and prayed that it was just another false rumour generated from the mills - but as the day wore on - it became clear that indeed we had lost another frontline battle commander in the fight against the terrible and vicious Ebola scourge. What is now emerging it seems, is the satanic antics of a government "information" set up to deny all interested persons the true picture of the afflicted, the dying and the dead in Sierra Leone. On the passing away of Dr Olivette Buck, the Sierra Leone Telegraph had this one line and grim heading - Dr. Olivette Buck is dead - and goes on - "After several days of desperate, frantic efforts and pleas for president Koroma to spend some of the vast amount of money that he and his wife have collected from private donations, as well as from international aid to save the life of Sierra Leone’s first female doctor to contract the Ebola virus, she is now confirmed dead. Rather than dig deep into their moral conscience and do what is right, State House instead had chosen to sit and watch Dr. Buck die, just as they presided over the death of Dr. Khan, Dr. Modupe Cole, and Dr. Rogers – four of Sierra Leone’s finest handful of doctors. History will not judge president Koroma kindly, nor will the people of Sierra Leone ever forget the fact that he has now become known as the weakest and most docile of presidents, to ever occupy State House. For a head of state to be weak, docile and inept is one thing, but to lose that one critical leadership quality that sets heroes apart from the chaffs, is something else. And that something else can only be described in two words: immorality and hubris"
We have noticed, with some amount of trepidation, actions by ruling party activists that tend to give credence to critics of the rat, that the government is still not taking the Ebola fight as seriously as it should. In neighbouring Liberia, President Sirleaf gave officials out of the country a week to be back or get their marching orders as she asked all her ministers and officials to join hands and ideas in the fight against the scourge in her country. In Sierra Leone we read reports of government officials travelling abroad at the expense of dying taxpayers on one pretext or the other with the rat's chief advocate for an illegal third term one Balogun Koroma who also doubles as Transport minister. He is at the head of a delegation in Russia talking about a mere MOU, Memorandum of Understanding with some dubious entity to create a new railway!!!. He and others are out of the country at a time when all hands are needed on deck - especially officials who feed fat from the resources of the ordinary and afflicted Sierra Leoneans. We also note another unusual if not cruel twist - health officials abandoned their wards and patients to fill seats reserved for the public in Parliament to witness that august body approve the new Health minister and a deputy to boot whose only credential is that she is an offspring of the Siaka Stevens APC era and we would stop at that as the poor lady was "appointed" by the hapless rat who saw this as rewarding the sons and daughters of the old party activists some of whom were around and approved of the Ginger Hall attack on the opposition party enclave in that part of the city. What a shame, what a display of heartlessness, of a lack of compassion for the sick, the dying and the dead!!!! UPDATE - We have just seen this picture on the right and story on the pages of AWOKO on the death of Dr Olivette Buck and its aftermath. We pray that the Lord Almighty will strengthen members of the family as they try to get to grips with this unexpected tragedy. To our brother Canon Jenner Buck we say - Courage brother and keep the faith. The Good Lord knows best. Thursday September 11, 2014 - BBC launches new programmes on Ebola. A look at the virulent and treacherous scourge and how it attacks the human system rendering it weak and unable to fight off a beast that is determined to kill. l.
We recommend the series to all those who are worried and interested in a terrible and devastating affliction that has never before hit us. This is a must see for the rat and his media motor mouths foaming at the mouth in sheer ignorance. This is a must view for those who think a three/four day lock down aids the fight even as they use the terrible scourge as an outlet for getting youth activists, untrained and unqualified in matters of health and who could be carrying the virus, to check on compatriots. And if we know the system well, it would be a field day to show the invincibility of the APC and how it provides for its own - never mind the unfolding tragedy. This latest episode has the theme - "The Ebola virus. No-one knows exactly where it comes from but one thing is certain - it's one of the most virulent infections known to science. This special episode of Horizon meets the scientists and doctors from all around the world looking for the cure and hears first-hand accounts of what it's actually like to catch - and survive - this terrible disease." "The Ebola outbreak in Western Africa has so far claimed more than a thousand lives. As medics struggle to treat the sick and stop the spread of the disease, there is another vital front in the battle – bringing people the accurate and up-to-date information which can, literally, save their lives. Countering misinformation is crucial. In Sierra Leone, for example, myths and rumours about Ebola abound – such as the claim that it is not a real virus at all or the theory that it can be prevented by traditional medication. And this is where the BBC World Service can play a part. As a trusted source of news in the affected regions, with millions of listeners, the World Service is ideally placed to bring the latest life-saving information to its audience. From today (Wednesday 13 August) the BBC World Service will join forces with the BBC’s international development charity, Media Action, to produce and broadcast special Ebola updates which will air across BBC Africa language services broadcasting to Africa on Wednesdays and Fridays. These updates will cover the basics of how the virus is contracted, the symptoms and what to do if people suspect they or someone close to them is affected. They will cover the latest expert advice and new developments, as well as debunking myths and rumours, and combating misinformation." Thursday September 11, 2014 - 13 years ago today, the United States of America was subjected to a deliberate and well-planned attack that saw more than three thousand losing their lives as iconic and strategic targets are hit in the heart of the country. 13 years ago today, the United States was hit in an attack that was as unexpected as it was ferocious - meant to take out as many lives as possible and wanting to bring one of the world's greatest democracies and the world's most advanced military power to its knees. It was an attack that made the world's greatest military power take a closer look at itself and examine not only the genesis of such a ruthless and brazen attack, but to take a second look at residents within and outside the country and more importantly - why the United States should become the target of such a planned attack that involved the use of planes loaded with passengers as flying bombs and missiles of destruction. Allow us to recount events through the eyes of the History Channel. On September 11, 2001, at 8:45 a.m. on a clear Tuesday morning, an American Airlines Boeing 767 loaded with 20,000 gallons of jet fuel crashed into the north tower of the World Trade Center in New York City. The impact left a gaping, burning hole near the 80th floor of the 110-story skyscraper, instantly killing hundreds of people and trapping hundreds more in higher floors. 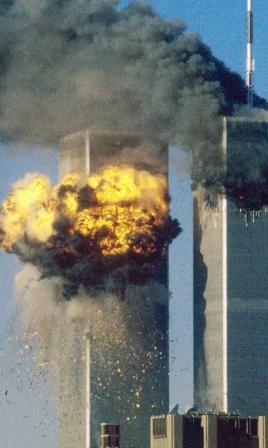 As the evacuation of the tower and its twin got underway, television cameras broadcasted live images of what initially appeared to be a freak accident. Then, 18 minutes after the first plane hit, a second Boeing 767–United Airlines Flight 175–appeared out of the sky, turned sharply toward the World Trade Center and sliced into the south tower near the 60th floor. The collision caused a massive explosion that showered burning debris over surrounding buildings and the streets below. America was under attack. September 11, 2001, was the deadliest day in history for New York City fire fighters: 343 were killed. The attackers were Islamic terrorists from Saudi Arabia and several other Arab nations. Reportedly financed by Saudi fugitive Osama bin Laden’s al-Qaeda terrorist organization, they were allegedly acting in retaliation for America’s support of Israel, its involvement in the Persian Gulf War and its continued military presence in the Middle East. Some of the terrorists had lived in the United States for more than a year and had taken flying lessons at American commercial flight schools. 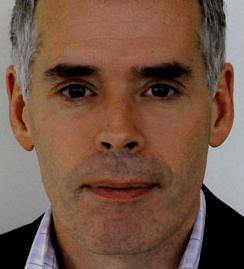 Others had slipped into the country in the months before September 11 and acted as the “muscle” in the operation. The 19 terrorists easily smuggled box-cutters and knives through security at three East Coast airports and boarded four flights bound for California, chosen because the planes were loaded with fuel for the long transcontinental journey. Soon after takeoff, the terrorists commandeered the four planes and took the controls, transforming ordinary commuter jets into guided missiles." On the eve of the anniversary, US President Barack Obama outlined his plans for degrading a new and even greater threat to the world. An organisation, though claiming to be committed the ideals of the good faith Islam attacks and kills with ruthless abandon all those who cross its path - Muslims, Christians, atheists and every human being it feels should be killed. 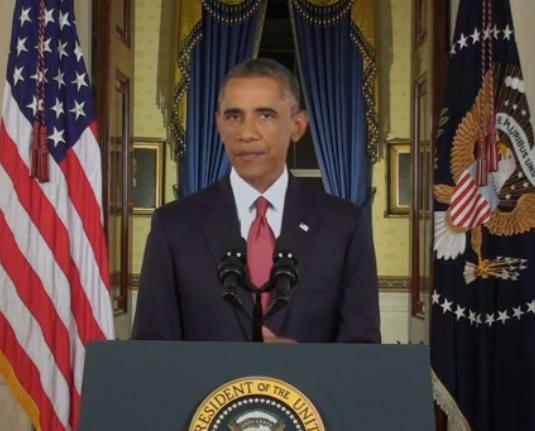 Says the President - "Let’s be clear: While this group may call itself the "Islamic State," it is not "Islamic." No religion condones the killing of innocents, and the vast majority of ISIL's victims have been Muslim. Nor is it a "state." It is not recognized by any government, nor by the people it subjugates. This is nothing but a terrorist organization with no vision or goal other than to slaughter all who stand in its way. While we have not yet detected specific plotting against our homeland, these terrorists have threatened America and our allies. And the United States will meet this threat with strength and resolve. Already, our military has conducted more than 150 successful air strikes over the past month against ISIL targets in Iraq -- strikes that have protected American personnel and facilities, killed hundreds of ISIL fighters, and helped save the lives of thousands of innocent men, women, and children." Sunday September 7, 2014 - Clueless and rudderless cabal wants a 72-hour curfew to keep people indoors as the blustering spokesman for the rat, one Alpha Sahid Bakar Kanu tells the world that the incubation period for Ebola is 2-3 days. Is the army of 21,000 untrained and unqualified health volunteers an outlet for APC party activists? Can suspected cases be removed for treatment fast enough? The international air waves, radio and television had been full of it - that the authorities in Sierra Leone are planning what they call a lockdown of the entire country starting 18th September. CNN notes - Sierra Leone plans a three-day nationwide lockdown in an effort to halt an Ebola outbreak that has killed hundreds, a move that a leading medical charity said Saturday will not help. People will not be allowed to leave their homes for three days under the plan, set to start September 19. The lockdown is being billed as a predominantly social campaign rather than a medical one, where volunteers will go door-to-door to talk to people. 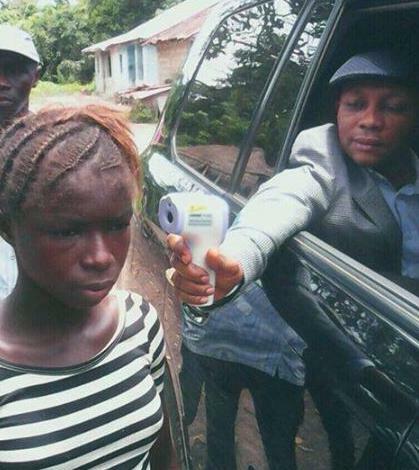 "We believe this the best way for now to identify those who are sick and remove them from those who are well," said Alhaji Alpha Kanu, Sierra Leone's minister of information and communication. But Médecins Sans Frontières, also known as Doctors Without Borders, said such a lockdown is unlikely to stop the spread of the disease. "Large scale coercive measures like forced quarantines and lockdowns are driving people underground and jeopardizing the trust between people and health providers. Tom Dannatt, founder of Street Child, a charity which employs 650 people in Sierra Leone and Liberia, also raised concern over the scale of the lockdown. He said: "Can you imagine telling everyone in this country you have to stay at home for three days?" He also expressed concerned about the country's street children, many of whom live in food markets which will be closed. "Where will they go?" he asked. But Dannatt said he hoped the measure would make the international community wake up to the severity of the outbreak. "It will highlight the fact Ebola is touching everyone. It's not just the thousand who have contracted it," he said. Alpha Kanu talks glibly about giving people enough warning to stock up for the days when the country would be shut down and says we are used to such a situation as we did during the war!!! This cad is a real beast. How many people in Sierra Leone can afford to stock up food for three or four days? When we saw this on a BBC page, we could not believe our eyes - "Health ministry spokesman Sidie Yahya Tunis told the BBC he did not expect the public to object. "You follow or else you'll be breaking the law. 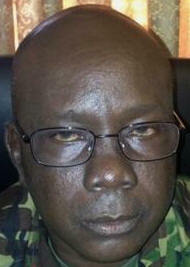 If you disobey then you are disobeying the president," he said. So is it treason these days to disobey the rat? Who is he - is the rat a servant of the people or an overlord? Over to you Sidie. We'll leave it at that for now. 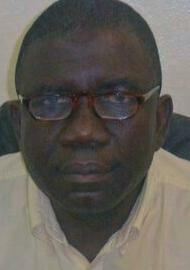 This link is for Alpha Sahid Bakar Kanu who says the incubation period for Ebola is 2-3 days. It is from the World Health Organisation, the WHO. "The incubation period, that is, the time interval from infection with the virus to onset of symptoms, is 2 to 21 days." Thursday September 4, 2014 - Lest we forget. It was on this day and indeed on a Thursday 17 years ago that residents in Freetown woke up to face a grim reality. That many civilians had been killed and many more wounded, some gravely following overnight sounds of heavy firing around Mabaylla in the east of the capital. Thursday September 4, 1997 - Tragedy unfolds. Scores are reported killed by bombs/missiles. Junta claims massacre carried out by ECOMOG forces based across the estuary in Lungi. 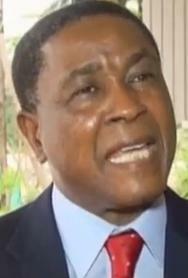 Anti-Nigerian/ECOMOG/pro-democrat hysteria and hate whipped up on junta-controlled radio and television. One medical staff interviewed by junta-controlled TV publicly discloses that some of the victims bore wounds consistent with those inflicted by bullets. It was a frightening day as the junta of Johnny Paul, RUF/AFRC coalition of evil paraded the streets of the capital forcing out people to demonstrate against the Nigerian contingent of the ECOMOG peace keeping force based mainly at the international airport across the estuary in Lungi. Pictures of the dead, dying and wounded were flashed across junta-controlled television and spokesman Allieu Kamara accused the Nigerians of the atrocity committed against unprotected and innocent civilians on Wednesday night and the early hours of this day, it was not lost on many in the capital that the kind of noise generated by the junta and what few supporters they had could only mean one thing - it was the junta that had carried out the murders and not a shell fired from the Nigerian ECOMOG positions across the estuary. Clips from the murder scene and confirmed by one of their narrators, now a part of the rat's many feeding outlets, showed victims had suffered wounds consistent with bullets fired from automatic weapons as well as those from missiles like the junta's much-favoured and menacing rocket-propelled grenades, the RPG's. Those who survived but kept sealed lips speak of seeing men in military fatigues firing into them from vantage positions, wondering what they could have done to deserve this. Any who dared raise their heads in protests were gunned down, keeping them quiet forever. Seventeen years on, architects of the Mabaylla massacre are still walking the streets and alleyways of Freetown and other parts of the country with a number rewarded by the rat. Among them, the present Head of the Army one S O Williams who during our troubles threatened to raze Freetown to the ground should ECOMOG forces move from their positions and head for the capital Freetown. 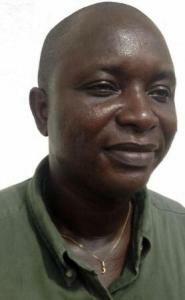 Wednesday September 3, 2014 - UK Ebola victim flown from Sierra Leone is alive - and well again. 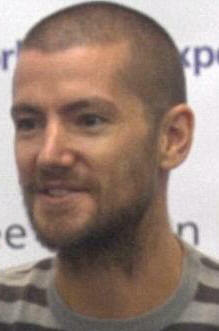 William Pooley admits that he was really scared, thinking he was going to die. 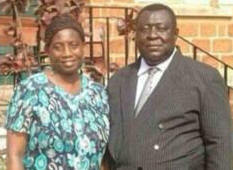 Praise the Lord - he is now declared OK after evacuation from Sierra Leone by specially-equipped air force C-17 plane. The first UK victim of the Ebola virus to get infected in Sierra Leone nurse William Pooley has been given the all-clear by medical teams and is back home no doubt trying to recall where he could have got it wrong and got infected. His story again highlights the need for proper care and good health delivery for those who contract the disease thereby buttressing our call that more be done for Ebola victims in Sierra Leone. That having the infection need not be a death sentence. The BBC has this story - "Mr Pooley was given the experimental drug ZMapp and has praised the "world class" care at the hospital. About half of the 3,000 people infected in the outbreak, which started in Guinea, have died. The pace of the outbreak has been accelerating with more than 40% of cases in the past three weeks. Mr Pooley was working as a volunteer nurse in one of the worst affected countries, Sierra Leone, when he contracted the virus. He is unsure when he became infected, but started feeling sick and needed a blood test. He recalled the moment his fears were confirmed: "I was woken early that evening by one of the World Health Organization doctors and immediately I knew it was it was bad news." I was worried that I was going to die, I was worried about my family and I was scared. He said: "I was very lucky in several ways; firstly in the standard of care I received, which is a world apart from what people are receiving in West Africa at the moment. "And my symptoms never progressed to the worst stage of the disease, I've seen people dying horrible deaths, I had some unpleasant symptoms, but nothing compared to the worst of the disease." Another UK-based news outlet, the Daily Mail (not to be confused with that rubbish online red herring generated by degenerate and self-serving praise singers of the rat) has this other aspect - "Mr Pooley, who comes from the small village of Eyke in Suffolk, was airlifted back to Britain in a specially equipped C17 RAF aircraft. The hospital said in a statement: 'Following 10 days of successful treatment in the high level isolation unit - the only one in the UK - Mr Pooley is being discharged from the Royal Free Hospital today.' Close to 1,500 people have so far died across Guinea, Liberia and Sierra Leone in the worst epidemic since the disease was first identified 38 years ago. Mr Pooley had been volunteering at the ebola centre in Kenema, one of the worst affected areas, for just five weeks when he fell ill. Previously he had been providing palliative care to patients at the Shepherd's Hospice in Sierra Leone's capital city, Freetown, and had been there since March. But as the ebola epidemic began and he heard that healthcare professionals were fleeing for fear of catching the disease, he decided to go to Kenema. Mr Pooley is the only Briton to be have ever been infected by ebola outside the laboratory. The only other British case was in 1976, when scientist Geoffrey Platt pricked himself with a needle contaminated with the virus. Please world, please humanity - come to our aid and help us fight the scourge. Help us with isolation units. Help us with medical personnel. Help us with food and drugs. Help us with beds and trolleys. Help us with protective gears. Help us raise the trust and confidence levels of our citizens who have grown to distrust any word that drips from the lips of politicians. Please come to our aid. Do not wait until Ebola decimates us. We do not deserve this. Thanking you in advance for your anticipated help. Monday September 1, 2014 - The rat and his cabal still not getting things right in the fight against the deadly and vicious Ebola Virus Disease. A case of too many cooks spoiling everything. All the hallmarks of a lack of direction and vision laid bare. In the past couple of days, the visionless and directionless rat at State House came out with a badly-worded press statement in which he stated that he has sacked his Health Minister one Miatta Kargbo and he was actually expecting to be applauded for something he should have done ages ago. The wording of that statement also brought into focus what we had been saying all along - that there's no credible and down-to-earth strategy to combat the scourge with everyone close to him and his kitchen and inner closet staff falling over each other to show just how "sagacious" their dear leader was. However what put the icing on the cake in the catalogue of political stupidity and arrant nonsense was a widely publicised event held at the ruling party headquarters, the APC that is "to honour the fallen heroes" in the fight against the Ebola scourge. This was the dumbest activity one could not have imagined from a party which had all along insisted that the fight against the scourge should involve everyone irrespective of ethnic affiliation, regional and party loyalty. Having failed initially, we think there should not be any excuse for Sierra Leone not putting in place robust and practical strategies in place and the fact that in two of the statements above the WHO and the Chief Medical Officer are now getting truly involved showed that the whole affair had been poorly handled and this new announcement from the office of the rat came as a result of the visit of the WHO officials at State House. They could well have bluntly told the rat that the Ebola crisis is not getting the treatment that is needed...and that the lack of resources was not the main problem as they made clear that the initial resources generated locally if properly utilised could have gone a long way in stemming what is now an overwhelming tide. We have raised this question before and we would ask again - after the rat ordered that the brave health workers be absorbed into the staff role of the Ministry of Health - how many of them were duly registered? This what he said in a July 2014 address to the nation on the disease - "We commend the volunteer nurses and health workers in Kailahun who are making the personal and professional sacrifices to identify, diagnose and treat Ebola patients. I hereby instruct the immediate absorption of these brave volunteer nurses and health workers in Kailahun and Kenema into the civil service." Sunday August 17, 2014 - International broadcaster, the BBC joins national media in Sierra Leone to spread awareness on the deadly Ebola. A bold and innovative move and would want to see more broadcasters getting involved. Is the rat at State House losing the plot? We say - take the pressure off Kailahun and ask for help in setting up isolation and treatment wards in other parts of the country. We are indeed happy to note the effort of a number of key journalists in the country to raise awareness on the deadly Ebola - a scourge that had never before hit our country, nor others in the neighbourhood like Guinea and Liberia and now Nigeria. 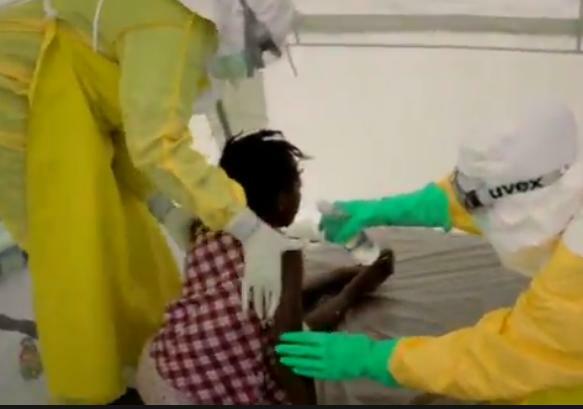 We have been informed that the smoke and mirrors rat of a President had called in members of the Sierra Leone Association of Journalists, SLAJ, to brief them on what his outfit intends to do to stem the ravaging tide of the deadly Ebola. The latest that we have is that SLAJ has also initiated a fund that encourages members to chip in ensuring that all contributions are properly recorded and accounted for so that the organisation cannot be seen as just one of the many mushrooming fund-raising outfits. Some of these outfits while pretending to raise funds for the victims and the fight against the scourge have one and only one aim - to make money out of the misery of the suffering masses. We are pleased to receive this note from the BBC headlined - BBC World Service Joins The Fight Against Ebola - "The BBC World Service is to broadcast special Ebola updates which will air across BBC Africa language services on Wednesday and spoken local dialects: Liberian English in Liberia, Soussou in Guinea and Pidgin in Nigeria. These updates will cover the basics of how the virus is contracted, the symptoms and what to do if people suspect they or someone close to them is affected. They will cover the latest expert advice and new developments, as well as debunking myths and rumours, and combating misinformation. “As a trusted source of news in the affected regions, with millions of listeners, the World Service is ideally placed to bring the latest life-saving information to its audience" We wish the BBC and its arm Media Action in Sierra Leone well. We are indeed saddened like many concerned Sierra Leoneans and friends of our great country to hear of the passing away of another top frontline doctor Dr Modupeh Cole in the fight against the Ebola scourge. Tuesday July 29, 2014 - A sad day...a sad, very sad story as we announce the passing away of a true hero - a man who gave his all that others may survive. Dr Sheikh Omar Khan is no more. He succumbed to the ravages of Ebola today at the MSF health clinic where he had been receiving treatment after he contracted the disease while attending to Ebola cases in the government-run Kenema Hospital. The reports have been flooding the world's media outlets - with this from the pages of the UK-based Guardian newspaper - The doctor leading Sierra Leone's fight against the worst Ebola outbreak on record has died from the virus, the country's chief medical officer said. The death of Sheik Umar Khan, who was credited with treating more than 100 patients, follows the deaths of dozens of local health workers and the infection of two US medics in neighbouring Liberia. Another outlet, the Daily Mail has this opening - "Sierra Leone's top Ebola doctor dies after contracting the virus while fighting the outbreak as Nigeria admits precise number of people U.S. victim Patrick Sawyer could have infected is unknown." International broadcaster Al Jazeera also reported the passing away of Dr Khan - SSheik Umar Khan was infected earlier this month and died on Tuesday at a ward run by medical charity Doctors Without Borders in the far north of the country. Miatta Kargbo, Sierra Leone's health minister, called Khan a "national hero" and praised his "tremendous sacrifice" in working to save the lives of others. His death comes days after Samuel Brisbane, a senior doctor at Liberia's largest hospital, died on Saturday at an Ebola treatment centre on the outskirts of Monrovia. 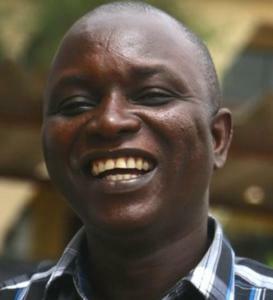 The Independent newspaper states - Ebola virus: Top Sierra Leone doctor, Sheik Umar Khan, dies of disease aged 39 - The top doctor treating patients infected with the Ebola virus in Sierra Leone has died from the disease, officials have confirmed. Reuters reporters who visited Kenema in June heard the doctor was “always meticulous with protection, wearing overalls, mask, gloves and special footwear”. Before his diagnosis, Dr Khan told reporters: "I am afraid for my life, I must say, because I cherish my life." "Health workers are prone to the disease because we are the first port of call for somebody who is sickened by disease. Even with the full protective clothing you put on, you are at risk," he added. We pray that the Good Lord/Allah or whatever you perceive Him to be grants him the rest which only He can grant.